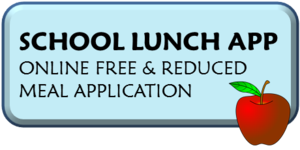 Diboll ISD is excited to announce that free and reduced meal applications are now available! You can apply for free and reduced meal benefits from the privacy of your home, or anywhere with an internet connection. With simple step-by-step instructions, applications are easy to complete and are automatically sent to the nutrition office for processing the same day. Visit www.MySchoolApps.com to complete an application for your household. Online applications are also available in Spanish. Diboll ISD no longer participates in Community Eligibility which allowed our Primary, Elementary and Intermediate students to receive free lunch. Parents of students at these campuses, must complete an application to qualify for free or reduced meal benefits. Only one application is needed per household. Once completed online, you will not have to fill out the paper application. If you have already received a letter from the Child Nutrition office stating your child qualifies for free or reduced meals, you do not have to complete an application. If you have questions, please contact the Child Nutrition office at (936)829-6104.